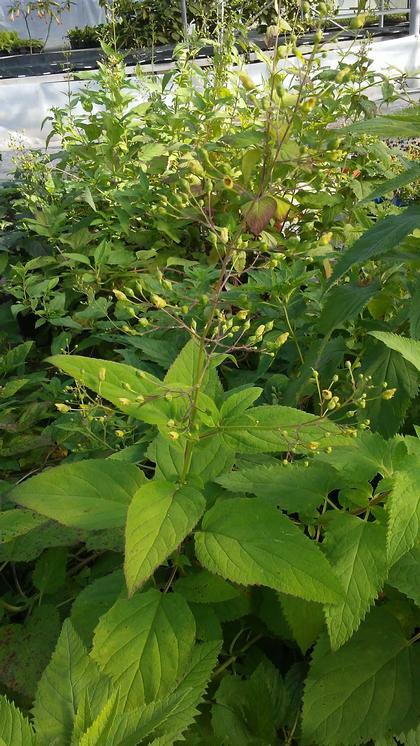 Long pointed and serrated green foliage yields tall flower stalks with tiny peach colored tube shaped flowers. Not a showy flower at all but very attractive to pollinators. Seed heads provide a beaded structural look late summer and fall.